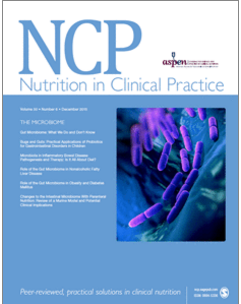 Nutrition in Clinical Practice (NCP) welcomes two new memebers to its editor team, and says goodbye to long-time Associate Editor Dr. John K. DiBaise. Dr. Jayshil Patel, MD (Milwaukee, Wisconsin) will serve as NCP’s physician representative to the Associate Editor team. Dr. Ryan Hurt, MD, PhD (Rochester, Minnesota) will join the editorial team as a Contributing Editor in a newly created role. A.S.P.E.N. looks forward to many years of working with these learned physicians in their new roles. Dr. DiBaise (Mayo Clinic, Scottsdale, Arizona) served on NCP’s editorial team for many years. His contributions to the Journal were major, and ranged from soliciting authors and topics, to ushering manuscripts through the rigorous peer-review process. Thank you for your work over the years, Dr. DiBaise! Please join us in welcoming and thanking our fantastic volunteer editors by leaving a comment below.